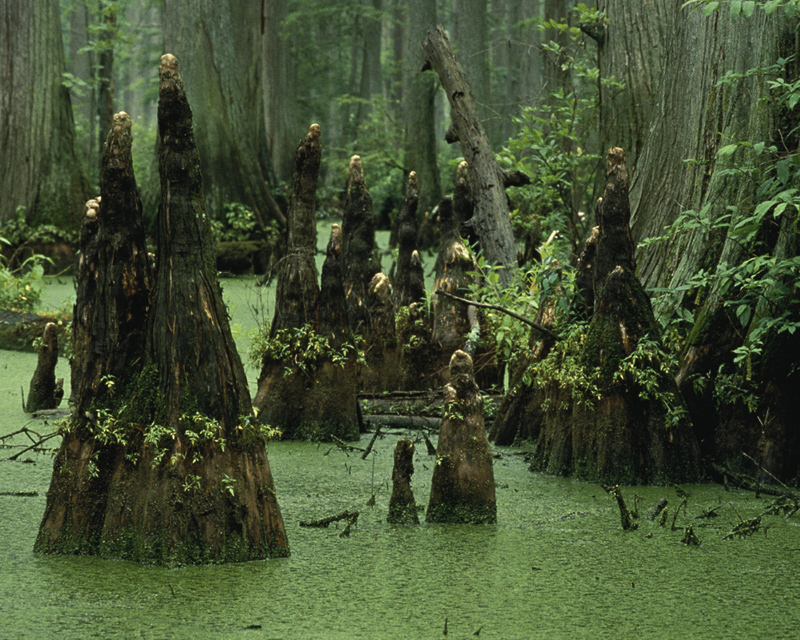 How’s The Swamp Draining Going? Although it seemed like the Mueller investigation had cooled down, apparently there are many moving parts at work behind the scenes. The very visible arrest of Roger Stone was obviously for more than anything Stone had to give the Meuller team. I wonder what and who that message was for? Let’s face it: Stone received the arrest method normally reserved for terrorists or those who are about to be charged with serious crimes and that pose a danger. 29 FBI cars, and several dozen special agents stormed Stone’s Florida home before 6AM. Normally, the FBI would have called Stone’s lawyer and allowed them to show up at the federal courthouse later in the morning. No, that “attack” on Stone was crafted by Mueller’s attack dog Andrew Weismann. Weismann authored a very similar arrest process for Paul Manafort. Remember that a large group of FBI agents who were dressed in riot gear carrying automatic weapons literally stormed Manafort’s house while he and his wife were asleep. There was a message attached to both arrests. ”There’s something in the Air” is a hit song from the 70’s sung by Thunderclap Newman. We can say that fits today’s D.C. “Investigatory Climate” for sure. Robert Mueller is either in the process of preparing a blockbuster or two regarding the investigation of the Trump Campaign, or he’s winding down and in preparation to complete his final report to give to the Justice Department. There are very learned people who weigh-in on both sides of that conversation. I have at times leaned heavily in either direction. But today, I feel stronger than ever, Mueller has an axe to grind, and to that end, is hellbent on the destruction of this presidency and in doing so, destroying Donald Trump. His venture to drain the Swamp called Washington D.C. is at least putting some of the evil sectors that continually bleed our government on notice. Special counsel Robert Mueller’s investigation, supposedly into collusion between President Trump’s election campaign and Russia, is casting light into dark corners of the Washington swamp where powerful political figures become highly paid agents of foreign governments. The prominent Americans Mueller has indicted are all foreign agents. That is, they work as lobbyists or consultants for foreign governments, who paid them handsomely. This includes retired Gen. Michael Flynn, GOP operative Paul Manafort, and his consulting partner Rick Gates. None of these men were indicted or convicted for activities on the Trump campaign. The charge sheet against Manafort was generally for crimes allegedly committed in his lucrative work in the transnational, revolving-door lobbying industry centered on the federal capital. George Papadopoulos, another Trump-world conviction by Mueller, was reportedly suspected of being an unregistered agent for Israel. We learned recently that Special Counsel Robert Mueller referred a handful of American lobbyists and consultants to federal prosecutors in New York for violations of the Foreign Agents Registration Act. These reportedly include President Barack Obama’s former White House counsel, Greg Craig, who became an agent for Ukrainian politicians who supported Russia’s tyrant, President Vladimir Putin. Tony Podesta, a former Democratic congressional staffer and hugely successful lobbyist and fundraiser is also said to be among those sent by Mueller to New York prosecutors. He seems to have failed to register his work ties to Putin. Vin Weber, a former Republican congressman and a senior adviser to GOP candidates, was another alpha lobbyist reportedly referred to federal prosecutors for investigation. It’s cheering that federal prosecutors are getting serious about FARA. Lobbyist registration, foreign and domestic, has long been required by law, but not enforced. Lobbyists who abide by the law gripe privately about this, and about nonenforcement of the Lobbyist Disclosure Act and the fact that many avoided Obama’s scorn by simply deregistering while continuing to lobby. The Obama administration put its stamp of approval on this deception by accepting donations from such lobbyists. Podesta and Craig haven’t been accused of breaking the law, Flynn and Papadopoulos were convicted on non-FARA crimes, and Manafort has been convicted of breach of FARA and primarily tax violations. But verdicts and indictments aren’t needed to say these men all played in a corrupt game. Flynn monetized his military service by putting his name and his rank to work for foreign governments including Turkey and Ukraine. American policymakers, journalists, and the public all trusted him because the U.S. Army made him a ranger and then a lieutenant general. He sold that hard-earned authority to people whose purposes were, in our opinion, incompatible with this country’s interests. Craig served in the inner circles of the Obama White House. Podesta was the Democrats’ most important campaign finance bundler. Manafort pretended to work for Trump when in truth he was serving the foreign governments who were the clients. Trump was the product he was selling. Weber was a public servant who cashed out to K Street and also served as a foreign policy adviser to Mitt Romney while he was working for Ukrainian interests. Some or all of the above was legal. That’s an important part of the problem. It’s pretty common in Washington. There’s little or no stigma to becoming a lobbyist for a foreign government. There should be. No American politician ought to take the trust Americans place in him and parlay it into an enriching gig advancing the interests of another country. Every revolving-door lawmaker-turned-lobbyist should get the message that if he comes knocking on behalf of some foreign potentate, he’ll get the curb. Regardless of what federal prosecutors do, Congress should begin investigating foreign agents and pass stricter laws to provide at least better transparency on this shady business. Current FARA reporting is opaque. The Republican Congress should have taken up reforms before the midterm elections. It would have been a fitting way to wrap up the first two years of a president who promised to drain the swamp. It would also have given a real purpose to Mueller’s investigation if Republicans responded by draining a swamp that is far deeper than Trump perhaps suspected and spans oceans. I as well as many others would love it if Mueller’s intentions and his findings so far were more public. Their NOT being public is by design. Of course those on the Mueller side who protect this special counsel and the federal statute that allows such maintain secrecy is mandatory while these investigations are underway. I am certain that was the original intent when that statute was drafted. But if that really was the operating method used by Mueller, why have so many pieces of the investigation been “leaked” to the press and others at conspicuous times and for seemingly specific reasons? Mueller is using the system. I’m not certain if Mueller is grandstanding as this investigation is likely his last — at least formally. If not that, maybe it is his intention through this investigation to regain some of the public perception of his being a stellar senior law enforcement figure that he has lost over the past decade or so as details of some of his botched investigations have come to light. In either case, Americans have had about enough. It’s time for a conclusion. Yes, it is wonderful that some suspected of wrongdoing have been confronted and are paying the prices for that wrongdoing. But it is beyond unfortunate that dozens of Americans who may have done something wrong but nothing that rises to the high levels of serious and damaging evils have seen their entire lives’ accomplishment banished by just allegations and innuendo during this probe. It has exposed that Special Counsel law as egregious, political, and grossly unethical in my view. ROBERT MUELLER IS ARGUABLY THE MOST POWERFUL PERSON IN THE AMERICAN GOVERNMENT TODAY, AND HE ANSWERS AND IS ACCOUNTABLE TO NO ONE! That’s NOT what our founding fathers expected would be part of the Justice Department. And I’m certain the Congress that drafted and put that statute in place did not envision a scenario where even THEY had no authority to rein-in a Counsel who had become an attack dog and was needlessly destroying people’s lives. That’s what Special Counsel Mueller is all about. And far too many Americans are paying a senseless price for a senseless investigation that could have been accomplished by the Justice Department with its own investigators. Fired FBI Director James Comey is once again in the crosshairs of Truth advocates in Congress. Comey appeared again before a joint Congressional committee hearing to answer questions. (We are waiting for the transcript of his testimony to be released and will share it when that happens) After his testimony, Comey visited with the press and explained EVERYTHING going on in D.C. and why it has been and is happening. It will probably come as no surprise to you that none of what has happened, is happening, and certainly, those things that will result from the dozens of ongoing investigations into DOJ and FBI wrongdoing on multiple levels are his fault, a result of any of his actions, and certainly are not his responsibility. Fired FBI Director James Comey after his closed-door testimony to Congress, when confronted, weighed in with his thoughts about Republicans, FOX News, President Trump, and (of course) added his personal opinion about everything that has been happening and those things ongoing in the current myriad of investigations in Washington D.C. But obviously, there are numerous things that have happened — primarily with those fired or who have been forced to retire from the FBI and DOJ — that Comey totally ignores in his analysis he shared with the World. There is a common denominator in this entire debacle, and that common denominator is NOT President Trump: it’s James Comey. HE was the FBI Director who initiated the Hillary Clinton email investigation, stopped it, and started it again. HE was the FBI Director on whose watch the Steele Dossier was brought into focus and given legitimacy. HE was the FBI Director who signed-off on the grossly negligent, fact-missing, illegal FISA warrant applications that initiated the Mueller Investigation and all this noise. HE is the one who has been caught in lie after lie told in public settings and in his contradictory testimony. Putting it mildly: Comey in the video/audio above rails against President Trump, Trump’s supporters, and FOX News for telling and supporting lies. In fact, COMEY IS THE LIAR! It is appropriate today that using that position as the basis for this discussion — that Comey lies — to analyze how such an important man in the Department of Justice could justify his actions in numerous false statements about much of every part of every DOJ and FBI investigation currently underway. To reasonable people, unreasonable actions like those of Comey cannot be explained in a reasonable way. What type of liar could James Comey be? A compulsive liar is defined as someone who lies out of habit. Lying is their normal and reflexive way of responding to questions. Compulsive liars bend the truth about everything, large and small. For a compulsive liar, telling the truth is very awkward and uncomfortable while lying feels right. Compulsive lying is usually thought to develop in early childhood, due to being placed in an environment where lying was necessary. For the most part, compulsive liars are not overly manipulative and cunning (unlike sociopaths), rather they simply lie out of habit—an automatic response which is hard to break and one that takes its toll on a relationship. Most people occasionally tell “normal” lies as a defense mechanism to avoid the consequences of the truth (e.g. “It was like that when I found it.”) When a lie is told to cheer up a friend or to spare another person’s feelings (e.g. “Your haircut looks great!”), it may be considered a strategy for facilitating positive contact. In contrast, pathological lies have no social value and are often outlandish. They can have devastatingly negative impacts on those who tell them. As the size and frequency of their lies progress, pathological liars often lose the trust of their friends and family. Eventually, their friendships and relationships fail. In extreme cases, pathological lying can lead to legal problems, such as libel and fraud. Though often used interchangeably, the terms “pathological liar” and “compulsive liar” are different. Pathological and compulsive liars both make a habit of telling lies, but they have different motives for doing so. Pathological liars are generally motivated by a desire to gain attention or sympathy. On the other hand, compulsive liars have no recognizable motive for lying and will do so no matter the situation at the time. They are not lying in an attempt to avoid trouble or gain some advantage over others. Actually, compulsive liars may feel powerless to stop themselves from telling lies. In Which Category of Liars do we find James Comey? We are not today (or any other day) going to try to ascertain what type of liar Comey is, why he lies, and how could an FBI Director do so again and again with impunity. What we DO know is that he has found an adoring Media who deplored Candidate and now President Donald Trump and continually look to Comey to provide more ammunition for their daily assaults on this White House. What ammunition does Comey provide? “President Trump is a liar!” How often have we heard that from Comey in interviews? What we DO know is that it apparently is critical to Comey that Americans like him. And to like someone, it is necessary to believe what that person says. It is obviously foremost in the mind of James Comey that Americans really trust him, like him, and believe what he says. Trump Dossier: Comey testified that he briefed Trump about the salacious “dossier” before Trump was inaugurated because he’d learned that the media were about to report on it. But it’s more likely that Comey briefed Trump for the express purpose of getting its embarrassing content out into the public. Since, as soon as that meeting was over, it leaked to the press. As Graham and Grassley note in their IG letter, the press wasn’t covering the dossier before that briefing because they considered it unverified. But the mere fact that Trump had been briefed on it instantly made it newsworthy. “CNN only broke the story on the dossier because Mr. Comey briefed the President-Elect about it,” they note. In other words, it’s far more likely that Comey lied about why he briefed Trump, a briefing that just happened to get the entire Russia scandal story rolling in the press. Trump Memos: Comey repeatedly asserted that none of the memos he wrote about his interactions with Trump contained any classified information. That matters because Comey took these memos with him after he got fired by Trump, in violation of FBI rules. Comey then shared some of the memos with a friend, who leaked them to the press. Despite Comey’s claims, however, the Hill reported that four of the seven memos did, in fact, contain classified information. So it’s highly likely that Comey shared classified information. Comey did admit that he leaked these documents in hopes that a special counsel would be appointed to investigate Trump. We don’t doubt that’s true. Clinton Exoneration: Then there was Comey’s insistence that he hadn’t decided what to do about Hillary Clinton’s private email server scandal until after the FBI interviewed her on July 2, 2016. Comey told Congress that “the decision was made after that (interview) because I didn’t know what was going to happen in that interview. She maybe lied in the interview in a way we could prove.” Long after Comey made that claim, however, draft FBI memos exonerating Clinton — written months before several key figures, including Clinton, had been interviewed — came to light, suggesting that the FBI was planning to exonerate her all along. Then a text exchange from two top FBI officials indicated that then-Attorney General Loretta Lynch also knew Clinton wouldn’t face charges before Clinton had been interviewed. Finally, there’s the claim Comey made when he issued his statement exonerating Clinton that “no reasonable prosecutor would bring such a case.” That, too, was not entirely true. As was noted by many federal legal experts in 2016, career agents and attorneys on the case unanimously believed the Democratic presidential nominee should have been charged. What’s more, a key term in Comey’s final statement was changed from earlier drafts from “grossly negligent” to “extremely careless.” The difference was critical because gross negligence is specifically listed as a prosecutable offense when it comes to mishandling classified material, even if there was no intent to do wrong. In other words, the only way Comey could convincingly claim that Clinton’s actions were un-prosecutable was by watering down the language. In a piece on the Lawfare Blog, Quinta Jurecic and Benjamin Wittes note that “The FBI takes telling the truth extremely seriously.” So much so that ” ‘lack of candor’ from employees is a fireable offense — and people are fired for it. Moreover, it doesn’t take an outright lie to be dismissed.” The authors were writing this in the context of why McCabe was fired. Without question, the most detailed and specific commentator at FOX News is talk-show host Tucker Carlson. Much can be said for his style, his “in-your-face” interviews, and confrontational nature. But one thing is certain: Carlson is a researcher and a deep thinker. He often digs out a tidbit or two that no one else seems to have discovered. Let’s be clear: Donald Trump is crass, self-confident, often arrogant and combative, and never leaves one wondering how he feels about anything. He is jealously loyal to those who he trusts: often to a fault, as he has discovered. Politics in D.C. is far different from the business world. And people who live and work inside the D.C. beltway are far different from average Americans. Many feel Donald Trump met his match when he took-on James Comey and made Comey his personal foe. But I am fairly certain that Trump went into that confrontational relationship with his eyes wide open. Comey? Not so much. Let explain. One thing the Queens mogul learned long ago to simply survive in commercial real estate in New York City is that people more often than not act differently from the perception they paint for all to see. In “Trump World,” that is far more prevalent than in everyday Middle America. And for one to survive in that Swamp requires fortitude far beyond that possessed by most, and the ability to “give it out before it gets thrown at you.” Let’s face it: building a professional career in Queens requires the ability to instantly understand those with whom one interacts. And responses to those people require instant action. Most in Washington don’t quite get that. However, most in Middle America do. We can summarize where the Trump v Comey case is by simply stating this: Trump changed the rules — changed the narrative of “conflict” that has lived almost exclusively one-sided in D.C. for generations. Washington government conflict until now has always been controlled by the “current” political party in power, either Democrats or Republicans. He changed the rules. What if anything will happen to James Comey and his “associates” who are almost gone from the DOJ and FBI now? It’s anyone’s guess. If those decisions are left to the Mainstream Media, Democrats and Establishment Republicans, the answer is simple: Nothing. But if Trump survives, it will mean an end will have been put to the one-sided government operations that control Washington. Only one will survive: Comey and Company or Donald Trump. No doubt, the D.C. Establishment is throwing their best game to beat the real estate mogul from Queens. Will their best be good enough? Surviving in Queens is tough enough. But thriving in Queens says a lot. Donald Trump is NOT just a survivor. Jeff Sessions is out at the Department of Justice. And Democrats are incensed. How could Donald Trump even think about asking for the Sessions resignation? Doesn’t POTUS know that Congress controls the Department of Justice, who runs it, and who is allowed to do certain things in the DOJ? Isn’t he afraid of what Congress can and will do — especially now that Democrats will control the House and therefore wield unfettered power over the White House — to punish the President for kicking Sessions to the curb? Certainly firing Sessions is to impact the Mueller Investigation, maybe even to fire Mueller to end the Russian collusion investigation. However, Trump doesn’t care what Democrats think! Democrats think American voters have forgotten the frustration of this President when Jeff Sessions — immediately after his confirmation as Atttorney General — announced his recusal from all 2016 election investigative matters, which include Trump Campaign alleged collusion with Russians to impact the election. Do they not remember that the recusal included any revisiting of the Hillary Clinton FBI investigation? 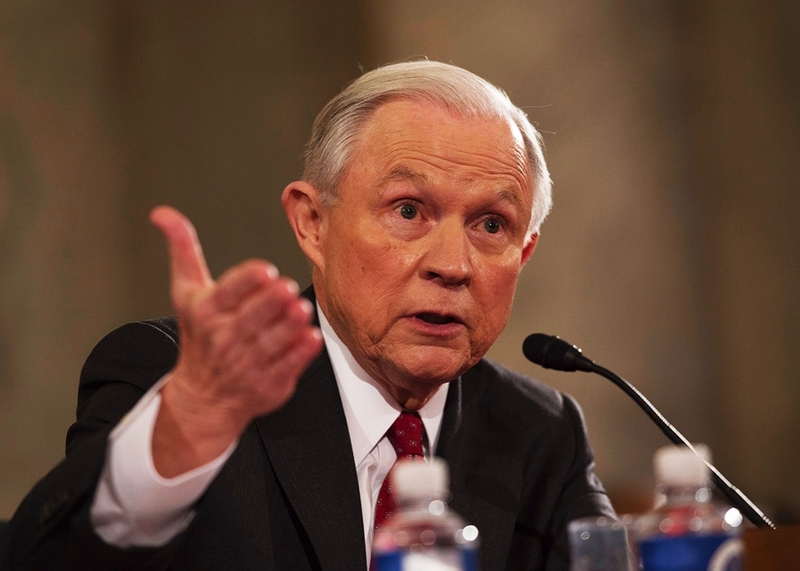 Have they forgotten the dozens of times in press conferences and conversations on the record President Trump’s desire for Sessions to leave the DOJ so that he could appoint a replacement without any conflicts that could perform every one of the AG duties? Oh, by the way, in a White House nationally televised press conference today, President Trump when asked what his intentions are about Robert Mueller, he demonstratively declared he has no intention to fire Mueller, he wants the Mueller investigation to conclude but will not stop it, and that he has no concerns regarding the investigation because there’s no wrongdoing to be uncovered. Then what is the basis for the Democrat outcry about the firing of Jeff Sessions? Congressional members should be ecstatic at the firing. Sessions resisted Congressional requests for documents over and over again — even after they were subpoenaed. Both Democrats and Republicans have complained again and again about the resistance of the Sessions DOJ in compliance with Congressional oversight. SImple: IT’S ALL ABOUT DONALD TRUMP! Bottom line is that Democrats — including their “2nd arm,” the Media — hate Trump simply because he does NOT comply with their mandate or their agenda. None understand his commitment to the American people to whom he promised to “Drain the Swamp.” The Swamp includes all of them! We first saw that hate immediately following the firing of James Comey and the appointment of Robert Mueller. But it evidenced its existence in a great way after the termination of Deputy A.G. Sally Yates. She was an Obama holdover who from the announcement of the election results joined the leftist plot to foil his administration. “The spectacle of President Trump’s efforts to humiliate the attorney general into resigning has transfixed the country. But while we are busy staring at the wreckage of Attorney General Jeff Sessions’ relationship with the man he supported for the presidency, there is something more insidious happening. The president is attempting to dismantle the rule of law, destroy the time-honored independence of the Justice Department, and undermine the career men and women who are devoted to seeking justice day in and day out, regardless of which political party is in power. If we are not careful, when we wake up from the Trump presidency, our justice system may be broken beyond recognition. Over the past few days, many people from both parties have rightly expressed their dismay at how President Trump has publicly lambasted the attorney general, noting the president’s lack of loyalty to a man who has been consistently loyal to him. And while this is indeed true, it misses the larger and more dangerous consequences of the president’s actions. President Trump claims that it is very “unfair” that Mr. Sessions recused himself from the Russia investigation, a recusal indisputably necessary given Mr. Sessions’ role in the campaign that is now under investigation. At its core, the president’s complaint is that he doesn’t have a political ally at the Justice Department to protect him from the Russia investigation. And he is apparently trying to bully Mr. Sessions into resigning so that he can put someone in place who will. President Trump’s actions appear aimed at destroying the fundamental independence of the Justice Department. All the while, he’s ripping the blindfold off Lady Justice and attempting to turn the department into a sword to seek vengeance against his perceived enemies and a shield to protect himself and his allies. The Justice Department is not just another federal agency. It is charged with fulfilling our country’s promise of equal and impartial justice for all. As an agency with the authority to deprive citizens of their liberty, its investigations and prosecutions must be conducted free from any political interference or influence, and decisions must be made based solely on the facts and the law. And the outcome of that analysis does not vary based on who occupies the White House. While some in the public may disagree with particular decisions, the Justice Department prosecutors and agents must have the independence to call it like they see it. Sally Q. Yates was a deputy attorney general in the Obama administration. Ms. Yates’ writing eerily echoes some claims from fired FBI Director James Comey. It is personally difficult for me to reconcile the grossly erroneous claims made by Yates just as those from Comey. Their basis comes from one place common in Deep State matters: Elitism. Yates, Comey, and Democrat Party leaders falsely maintain the Department of Justice and its investigative arm — the FBI — are legally to act as an independent arm of the Federal Government. Unless the Constitution has been amended without my knowledge, these folks are absolutely incorrect. The Department of Justice/FBI are part of the Executive Branch, headed by the President of the United States. That means that Donald Trump has total authority over the hiring and firing of every member of the DOJ: they all work “at the pleasure of the President.” The ruse that by firing James Comey and now Jeff Sessions is somehow obstruction of justice is not only untrue, It is laughable. The elitist purpose can only be to trick Americans into thinking that lie and creating further animus in the Executive Branch — specifically the Trump White House. How could firing Comey (who leaked classified information to the press) and Jeff Sessions (who numerous times has ignored legal subpoenas for Congressional appearances and multiple classified document production) be obstruction? They each brought to their firings a trail of actions that violated the responsibilities of their jobs. But the silliest charge in all this is the instant cries from the Left for the Interim Attorney General to recuse himself from having anything to do regarding Robert Mueller, the Mueller Investigation, or anything to do with “other” investigations of the President. What basis is there for their demands? “Conflict of Interest.” What’s Whitaker’s conflict? In 2017, Whitaker as a guest commentator on CNN in a discussion about the possible firing of Robert Mueller, stated that one way Trump could terminate Mueller (other than his firing) was to fire Sessions, then have his replacement cut Mueller’s funding to operate the investigation, therefore ending it. That’s the conflict of interest they all are screaming about. They all demand that Deputy AG Rod Rosenstein be allowed to continue as the person at DOJ who Mueller answers to. Think about that: Whitaker in that interview purportedly showed conflict of interest in that statement on CNN. They demand Rosenstein stays on the case. ROSENSTEIN IS RIDDLED WITH CONFLICTS OF INTEREST REGARDING ROBERT MUELLER! Rosenstein (with corroboration) discussed going to a meeting with the President wearing a wire, and even discussed invoking the 25th Amendment to remove the President from office. Do you think Rosenstein has a conflict of interest? Do you think that conflict should prompt Rosenstein to recuse himself? Many think he should (because of all of the above) even resign his post as Deputy Attorney General. 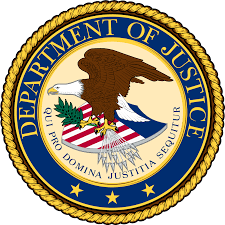 I have a unique suggestion: President Trump (as the defacto head of the DOJ) should relinquish the control of to whom at DOJ Mueller answers TO THE SENATE JUDICIARY COMMITTEE. Congress is Constitutionally charged to oversee the DOJ anyway. It makes sense for them to temporarily assume that responsibility, and make sure everyone part of the Mueller probe complies with all laws and are accountable for compliance with subpoenas for production of documents and committee appearances. 61% of Americans polled are ready for the Mueller probe to end. About the same number now believe there was no collusion with Russia on the part of the Trump Campaign. They also believe every day the Mueller investigation is allowed to stretch its mandate, doing so is strictly for political purposes. The primary purpose: GET RID OF DONALD TRUMP! Most Americans — even those who don’t personally like President Trump — feel he should be allowed to do the job for which he was elected. With the appointment as Special Counsel by his buddy Rod Rosenstein, Robert Mueller has become just about the most powerful man in the U.S., making him just about the most powerful man on Earth. With his convoluted appointment that violates all types of moral and legal ethics, breaks every rule regarding conflict of interest, and has given him and his group of legal henchmen an unlimited budget with no time restraints whatsoever, this Russia collusion hoax has morphed into what President Trump calls a Witch Hunt. Rosenstein was given NO evidence of any collusion that would justify Mueller’s appointment. And even if there was, there is no federal law regarding collusion except in Anti-Trust proceedings! And after 18 months, Mueller has turned up NO collusion with Russia. Many Americans are steamed about this probe. In fact, a majority who have been polled say this investigation needs to end. And many Americans have negative feelings about Mueller and don’t appreciate what he’s doing. 1. The guy’s a leaker. Breitbart says so. Sure, Mueller’s got a rep for rarely speaking in public or giving interviews. But behind the scenes he’s obviously spending day and night dishing dirt on Donald Trump and the president’s oh-so-honorable colleagues to any reporter who will listen. The deluge of daily stories disparaging President Trump, after all, began the day Mueller was appointed; before Mueller, Trump press coverage was constant sunshine and rainbows. Plus, it’s clearly to Mueller’s strategic advantage to have his investigative steps aired to the public in real time. Besides, who else would leak this kind of stuff? Only Mueller and his team have a motive. The White House isn’t a factionalist den of vipers; the president’s legal team is a well-oiled machine that never leaks; defense lawyers are paragons of virtue. Don’t even get us started on tight-lipped congressional staff — those guys never talk. The only logical explanation here is information about the investigation is coming from Mueller. 2. Mueller is a highly political actor. Thank God, Newt Gingrich has seen through Mueller’s act. He tweeted recently that “Republicans are delusional if they think the special counsel is going to be fair. Look who he has hired. (check FEC reports) Time to rethink.” It’s quite a rethink. Mueller is so political that he’s spent his entire career going back and forth between politicians. He worked in the first George H.W. Bush administration as an assistant attorney general, then he was a prosecutor on murder cases in Washington, D.C., after running the Department of Justice’s Criminal Division, and then he flip-flopped back to be a U.S. attorney in the Bill Clinton administration. Get this: He then goes on to run the FBI for both Presidents George W. Bush and Barack Obama (a bipartisan Congress even extended his term for two years at Obama’s request). The guy is so political he can’t even decide which side he’s on. 3. Mueller is too thorough and taking too long. This thing is seriously taking forever. Press secretary Sarah Huckabee Sanders spoke for all of us in saying that, “the president is frustrated by the continued witch hunt of the Russia investigation and he’d love for this to come to a full conclusion so that everyone can focus fully on the thing that he was elected to do.” You and me, both, friend. Could Mueller go any slower? It’s as if he’s a highly methodical actor systematically gathering strings on multiple broad areas simultaneously: Trump-Russia collusion, Trump Organization business dealings, misconduct in the Trump campaign, and obstruction of justice. He needs to hurry this thing along. Trump just wants to be cleared without the fuss of an investigation. Wouldn’t you? The president knows he is innocent and only wishes to spare us all the pain of this drawn-out ordeal. Of course, Trump recently told the New York Times that “I’m not under investigation. For what? I didn’t do anything wrong.” It’s completely reasonable of Trump to be frustrated that this investigation — which doesn’t exist — is taking so long and that Mueller is being so thorough about it. 4. Mueller is too aggressive and is moving too fast. Some lawyers defending people who have been caught up in Mr. Mueller’s investigation privately complain that the special counsel’s team is unwilling to engage in the usual back-and-forth that precedes — or substitutes for — grand jury testimony. They argue that the team’s more aggressive tactics might end up being counterproductive, especially if some grand jury witnesses turn out to be more guarded than they would have been in a more informal setting or invoke the Fifth Amendment. This well-meaning concern among defense lawyers for the effectiveness of Mueller’s investigation is touching. When they aren’t overwhelmed with concern Mueller is moving too slowly, they’re worried sick that he’s going too fast for his own good. 5. He’s hiring bad people with conflicts of interest. Trump warned us that Mueller’s staff comprises “some very bad and conflicted people.” Fact check: True. Some of Mueller’s staff attorneys have indeed committed the iniquitous crime of donating to Democratic candidates. This is what matters. Ignore their famed careers as prosecutors or appellate lawyers. Ignore the Supreme Court clerkships. Mueller’s staff actually are just human embodiments of contributions to Democratic candidates. No previous special prosecutor has ever employed people with political affiliations. We can’t recall any Republicans in sight for Kenneth Starr’s investigation, and Democrats absolutely fled from working for the Watergate special prosecutor and in the Iran-Contra investigation. If Mueller’s team isn’t wearing #MAGA t-shirts to work underneath their suits, the whole endeavor is hopelessly biased. 6. Mueller himself has conflicts of interest. Mueller is the most conflicted one of all. Trump astutely pointed out that he’d even agreed to discuss becoming FBI director again following Comey’s dismissal: “He was up here and he wanted the job,” Trump told the New York Times. After he was named as special prosecutor, “I said, ‘What the hell is this all about?’ Talk about conflicts. But he was interviewing for the job.” Plus, Mueller’s old firm also had clients involved in the investigation. The Justice Department reviewed those and found no problem with Mueller’s current role, but what do those guys know anyway? And there’s even more! Trump told the Times that “There were many other conflicts that I haven’t said, but I will at some point.” When he does tell us, everyone is going to feel very foolish about trusting this Mueller guy. 7. Mueller keeps expanding his investigation. The president warned Mueller that his investigation “is about Russia” and it would cross a red line if he strays into areas like Trump-family finances. And yet, the prosecutor keeps having the temerity to stray beyond the lines that Trump — the conduct of whose campaign and company is the investigation’s very subject — thinks he should be examining. 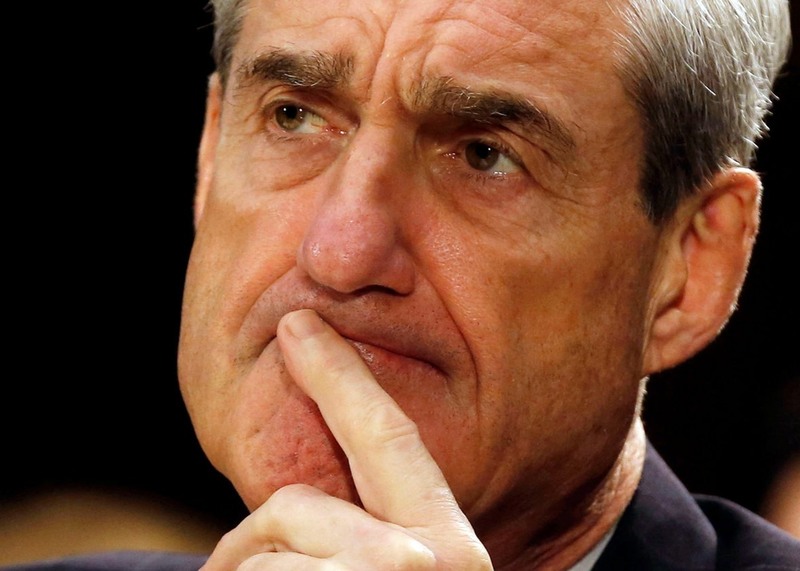 It’s possible Mueller just got confused by his capacious mandate from Deputy Attorney General Rod Rosenstein, which gives him authority not merely over “any links and/or coordination between the Russian government and individuals associated with the campaign of President Donald Trump” but also over “any matters that arose or may arise directly from the investigation” and any attempt obstruct the investigation. But clearly, Mueller is trampling the time-honored legal principle that the subjects of investigations get to say which parts the police are allowed to investigate. 8. Mueller is best friends with Comey. Sure, their actual premise is wrong and Comey and Mueller are not close friends. But never mind that. If we say it enough times, it will become true. Mueller and Comey certainly know each other. They ran the same federal law enforcement agency in sequence. They worked together when one of them was deputy attorney general and the other was running the FBI. And they appear to have a mutually respectful relationship. They’ve probably even had lunch. And just as all of us maintain intimate personal friendships and unfailing loyalty towards all our former co-workers, so too is Mueller in the tank for Comey and incapable of remaining objective about President Trump. 9. Mueller is a problem because he was appointed by Rod Rosenstein, who is a problem because he appointed Mueller. No less a figure than the estimable Sean Hannity made this decidedly sensible — and certainly not circular — argument by way of arguing both that Mueller’s probe has gone on too long and that it was exceeding its jurisdictional boundaries, both points discussed above. 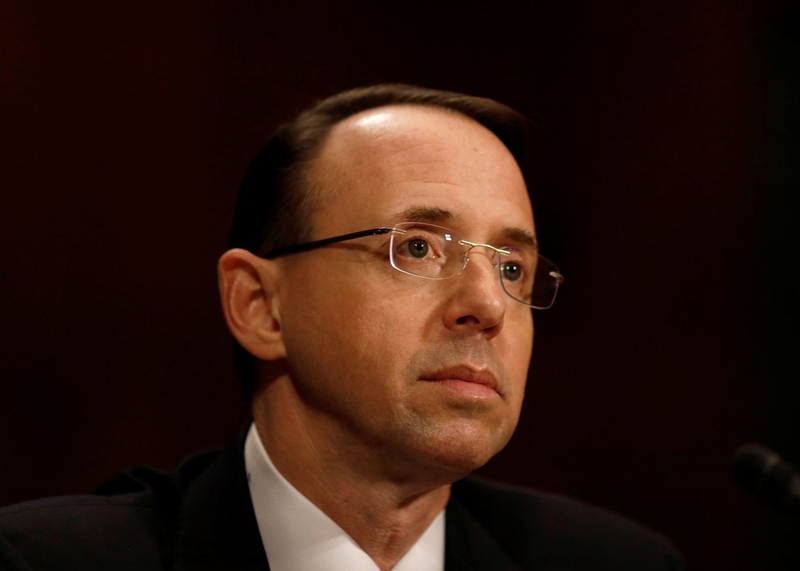 Rosenstein, you see, is suspect because, among other things, “Rosenstein is … the guy who appointed Robert Mueller and apparently either didn’t know or didn’t care about the fact that the day before he was named special counsel, Mueller interviewed with President Trump for the FBI director’s job.” Mueller, thus, is suspect because his investigation is being overseen by the guy who is suspect for having appointed him. “You can’t make this up,” Hannity writes. 10. Mueller is respected and admired at the FBI, and the FBI is the depths of the Deep State. Do you need a better reason to dislike him than that? I don’t think anyone knows for certain how this Mueller thing is going to play out — even Mueller himself. But in the midst of the strangest and most obviously evil federal investigation I know of in American history, something certainly IS about to happen. Only time will tell what it is. Regardless of its outcome, one thing has been lighted like Rockefeller Center during Christmas holidays: there is a large number of evil folks in our government in D.C. And there is a very large volume of evil that needs to be identified, rooted out, and “turned” out — whether it’s laws, policies, government employees or elected legislators. The bad stuff and people must go. If this Mueller probe does nothing more than simply shine a light on all of this wrongdoing, isn’t that enough? The light is on in the kitchen and the roaches are scrambling for cover. This is not a political thing. This is a good vs. evil thing. And the war has just begun. This American for one hopes the guys wearing the white hats win this one. Keep in mind, there are quite a few others who are on the “watch-list” for potential demotions, firings, and retirements in both agencies. And it’s very possible there are those not yet on this list because for security reasons they have not been announced. It seems that almost daily new revelations about wrongdoing, insubordination, and borderline illegal activities of many at the FBI and Department of Justice find their way into the news. Americans are rapidly losing confidence in the Department of Justice and FBI. It gets more difficult by the day to believe that this Justice Department has always been the most proficient, most successful, and most important justice system of any on Earth. What has become apparent to many is that the decline of credibility and integrity of those at the top of both agencies is nothing new. It apparently began years ago — if not during the Clinton or Bush 43 administrations, then certainly during the Obama years. And those from the Obama Administration seem to have been deeply involved in the most egregious of the instances of wrongdoing being exposed today. Who at the top was involved (and IS involved) and may be responsible for these illegal and inappropriate actions? How deep does this evil go? Who in the Obama Administration was involved? How far up the chain of authority in Obama’s White House did involvement go? Who in the Obama White House knew about it all? Was U.S. National Security ever breached? If so, by whom? Who was responsible and who was involved? If involved, what was President Obama’s involvement? Did the President authorize any/all of the illegal actions taken by the DOJ and FBI? Was Obama involved in the FISA warrant process to authorize surveillance of the Trump Campaign? When did the Obama Administration first get knowledge of Russia’s attempts to hack into the U.S. election system? What if anything was done about that suspected or actual election interference? Are details available of contracts or agreements between the Obama DOJ and outside vendors and any compensation for anyone for “assisting” the fulfillment of those contracts? Who (if anyone) in the current DOJ or FBI has personal communication with Obama or any other former Obama Administration individual? Who at the DOJ or FBI authorized Clinton Campaign individuals to receive immunity from prosecution? Who at the DOJ or FBI determined all interviews of Clinton Campaign individuals and Clinton herself were not be sworn testimony? Why has Attorney General Jeff Sessions not been removed? What investigations are underway by the DOJ regarding any/all of the wrongdoing mentioned above? Who has authority besides the President to fire Robert Mueller? Why has no one stepped in to assure Mueller stays within the guidelines of his appointment as Special Counsel in the Trump Campaign/Russia collustion investigation? There are certainly hundreds of additional questions Americans have (with new ones coming daily) about the apparent corruption in the current DOJ. And Americans wonder more and more about corruption in past Departments of Justice and how it impacted the nation. What Steps Can/Should be Taken at the DOJ? No doubt, opinions of what should happen are all over the place — speculation and possibilities abound. Almost universally, Americans want those in the Department of Justice and the FBI who are guilty of any wrongdoing, collusion with outside sources or are involved in any way in a process to remove a duly elected president to be discovered and immediately removed from their position pending prosecution whenever prosecution is appropriate. In fact, those steps should have already been taken at the DOJ. Some will say that the removal and/or retirement or quitting by those on the list at the top of this story prove actions ARE being taken. But for most Americans, that step simply shows the tip of an iceberg of corruption and wrongdoing. Should the 6th floor of the Hoover Building (the Administration floor where all the top leaders of the DOJ and FBI office) be cleaned out totally? That question asked at the time of the Trump inauguration would have been laughed at. But today, asking it is certainly warranted. Should it happen? There are those who will say that it is inevitable that those who remain from a previous administration will likely remain loyal to the policies of the past administration to the disadvantage of the “new” boss. And in many cases that is true. However, the specialization and the magnitude of the tasks that must be performed by every department of the DOJ and FBI certainly require continuity for success. Replacement of all senior management at every change of President would create a mountain of problems while the new folks figure out what to do and how to do it. That is the purpose for many of the “career” members of the agencies who remain when new administrations takeover. But that practice comes with significant potential dangers. We are seeing many of those “potential” dangers become “actual” dangers in many cases perpetrated by some holdover Obama DOJ senior staff members. I ask again: should President Trump “clean house” at the management level of the DOJ? 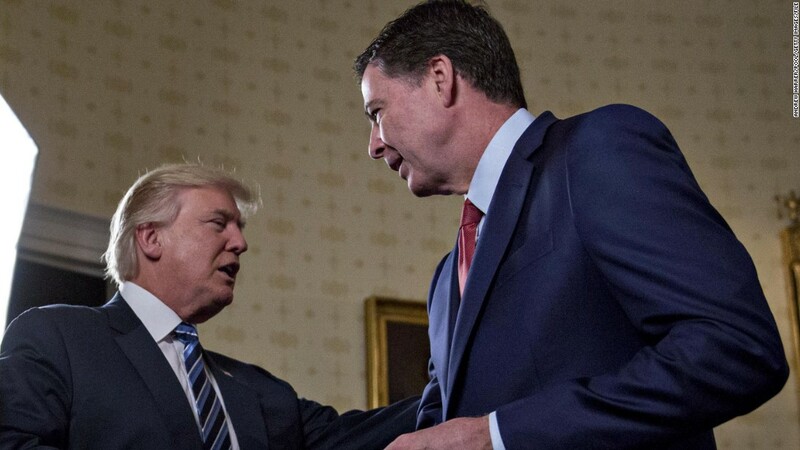 Remember when fired FBI Director James Comey after his termination stated that President Trump questioned him privately about his loyalty to the President? Comey thought that the question was inappropriate and a conflict. But let’s be honest: how can any president hope for his policies and ideas of operations in any department of government to be implemented by management if those managers and supervisors feel no sense of loyalty to their boss? That’s not an unreasonable expectation at all! In fact, Americans who elect each president expect his/her policies for which he/she was elected to be implemented wherever necessary, and rightly so. That requires cooperation and LOYALTY by those who swore an oath or made a promise to do just that! How could Comey or anyone else expect to NOT be requested for loyalty — either literally or benignly? This is certain: Comey asked for (if not demanded) loyalty from those in management positions under him at the FBI, as did former Attorneys General Loretta Lynch and Eric Holder of DOJ managers. I am certain so did Robert Mueller when he was FBI Director before James Comey. Obama may not have asked for it or demanded it, but if he did not expect such loyalty it was a huge mistake. Here’s the most important component of this process: Hold EACH accountability for management of their task process AND final results. I don’t think Lynch, Comey, or Obama used this process to run the FBI or Department of Justice. Eric Holder certainly did not. He didn’t even hold HIMSELF accountable. Donald Trump is a really smart business manager. He knows this process better than I ever could. It is the Federal Government and who are their bosses — you and me — that make this process somewhat convoluted. But here’s the ONLY important piece of this process: Donald Trump was elected to fulfill each of the promises he made to voters during his campaign. He needs to do just that. AND VOTERS NEED TO (AND WILL) HOLD HIM ACCOUNTABLE! He must hold his managers accountable for carrying out their individual tasks and making those completed tasks fit into the master plan. That may mean the termination of some. That happens in every administration and at every successful private company. But the President of the U.S. MUST make certain the operations of the most important two departments in the Executive Branch of government run smoothly, honestly, and on-track with the implementation and practices necessary to achieve their stated goals. That’s the Department of Justice and FBI. I think there needs to be a carefully planned and coordinated house cleaning at the DOJ and FBI. There are honest and reliable managers in each department that if identified, empowered, and put in place could help make such a move seamlessly and as painless as possible. Doing so would rid the nation of the corruption and self-dealing that seems to be running amuck at both places. It would also give rank-and-file employees confidence that this president really is committed to guaranteeing voters that every member of his administration is going to do the right thing the right way every time — or else. That’s what is missing in today’s DOJ and FBI: accountability. Are Attorney General Jeff Sessions and FBI Director Christopher Wray the right people to head such a cleansing? That’s something I cannot determine. But one thing is certain: President Trump has access to all the information necessary to determine if such a cleansing is necessary and justified. If the conclusion is for a cleansing, President Trump should have instant access to whatever resources are necessary to complete it AND to guarantee that during that cleansing, no effectiveness at the FBI or DOJ is lost or watered down. Change for change itself is seldom good. But change anytime it is warranted is not only good but imperative. 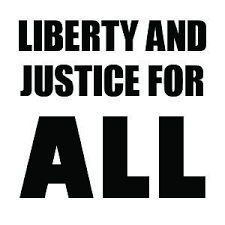 Who can honestly maintain that currently in the United States there is “Liberty and Justice for All?” If there is, it’s meted out differently for different folks. The “rule of law” has been attacked, amended, and re-defined by so many that no one any longer knows exactly what it is, what it means, and how it should function. The U.S. was established by a bunch of vagabonds who had for generations experienced the horrors and oppression of multi-layered justice in Europe that was never fair, never consistent, and certainly never equal. That ‘injustice” resulted in the establishment of a set of laws in this New World that would obliterate the evil system of justice that always favored one group over another, put one person ahead of someone else, and was always determined by those “other” than rank-and-file citizens who were not quite worthy of the same justice. Equal justice was in no way equal. We are seeing the evil of that system creep back into this New World. It is tearing at the very fabric of our country. Americans are in large part ignoring its power to quickly obliterate the founding principles that gave early Americans promise of equality under the Law. Many do not even acknowledge this “New” justice system’s existence. Generations of American patriots fought and died to protect and preserve the founders Justice System. Yet today it is in danger of destruction — not by foreign tyrants or evil nations, but by its own leaders. In Europe, class warfare was not even real warfare. Commoners only value was for their service to the ruling class. Laws existed at the whims of elitists. There was NO justice. 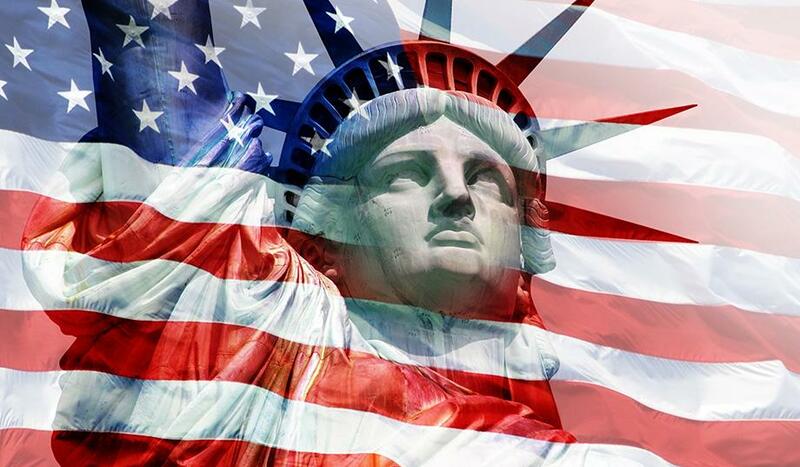 In the U.S., 2.5 centuries after becoming a nation whose cornerstone is the guarantee of “liberty and justice for all,” we watch as a ruling class has evolved into the American elitists moving to replicate European justice which American settlers fled. In the U.S., criminal justice has become a from top to bottom a system that favors those with social, economic, and political status, while punishing those who find themselves (most often by their own illegal actions) caught in a ever-growing whirlwind of “social” justice — a justice process/system eerily similar to that of 1600’s Europe. Because certain populations are forced into positions of social inequality just like those Americans lived through in Europe, crime becomes more common within those populations. “Most inmates are minority men under age 40 ‘whose economic opportunities have suffered the most over the last 30 or 40 years. Incarceration in the United States is socially concentrated among very disadvantaged people,’” says U.S. News & World Report. In the United States, the people most likely to commit crimes are “people without education, jobs, housing, or hope,” U.S. News explains. This is further complicated by the fact that people from disadvantaged populations are frequently given harsher sentences than those from dominant populations for the same crimes. Think about this: Retainers for felony crime cases start around $5,000-$10,000 but can be $25,000 or more for serious cases. Private criminal legal representation is literally out of reach and unattainable for most who fall into average working family category or below. Because of the high cost of securing “better” or “best” legal representation in such cases, public defense is most often the only option. Public defense is not in itself necessarily bad or of poor quality. But many who serve in this capacity are just beginning a criminal defense career or are assigned a certain percentage of indigent cases they are required to work. Volume of cases and low public defense budgets obviously waters down capabilities of providing “better” or “best” defense for those charged who lack sufficient financial resources to obtain private representation. It is not uncommon for a criminal case in which a defendant who has a criminal record and who is subsequently charged with one or more felonies to face a $100,000 defense bill if able to retain a private criminal attorney. There is very little hope for a person of average or below income to find defense other than through public defender representation. Multiple offenders — no matter the seriousness of previous crimes — suffer disproportionately in the criminal justice system, simply because of their past brushes with the Law. Inmates and ex-convicts are, themselves, a disadvantaged population. Once a person has a criminal record, it’s easy for potential employers to access that information on the internet and deny jobs because of it, says U.S. News. This makes it difficult for those who have criminal records to find jobs that pay enough. Seldom does the American media highlight criminal cases of those Americans caught-up in the justice system that because they are at social and economic disadvantage are forced into the Public defense system where they often get lost and certainly struggle for fairness. To the media, high profile cases that involve well-known public figures are “Newsworthy” and therefore capture newspaper and television coverage. Hollywood actors and directors, sports superstars, and music industry popstars have all the money necessary to assure great criminal defense while most members of minority communities who find themselves on the wrong side of the law get lost in the system where their stories seldom get told. Yes, a new segment of the Justice System has evovled. It is for those who are members of the United States Political System. Even though constitutionally all those in this system were chosen from among their fellow citizens to be public servants, those within that system have turned it into a “super” class of Americans that in many cases have been — and are — above the Law. Sadly, we Americans are the ones who allowed members of this class to create and perpetrate its existence. It’s not fair: nothing in it was envisioned by the nation’s founders. It is exactly what they hated and is exactly why in large part they fled Europe. Early Americans knew that no nation that is NOT fair to all its people without regard to race, religion, or place of origin can ever last. And no such nation can guarantee its citizens true freedom under the law. Why? Those in that political class were authorized by the Constitution to craft laws to govern our lives. Founders knew times would change and those changes would demand adjustments in those laws. But they knew the basics of liberty and justice for all, the rule of law, one person-one vote, fair taxation, and private property rights were and would always be essential for the preservation of the U.S. Justice System. The American political class has stood watch while much of those tenets of Freedom have been purposely eroded, only to be replaced by Political Justice. Here’s the rub about this new segment of the American justice system: everyday Americans do not determine who is part of that system and who makes the rules about which laws to keep, which to abolish, and which new laws to implement. The elitists do that for all Americans. Consitutionally, that is to be decided by American voters who choose through elections 535 representatives to serve in Congress along with a President and Vice President who — with the advice and consent of Congress — implement and enforce the laws passed by Congress. But that process exists no more. We watch as mayors, governors, members of the U.S. House of Representatives, the U.S. Senate, and even former Presidents thumb their noses at duly passed laws and simply do not enforce those laws with which they personally disagree. Examples: federal drug laws, U.S. voting laws, and U.S. immigration laws. Of course such a system operated by a chosen few was destined to become corrupt. It creates two different classes of people. It favors one class over another: the very definition of political corruption. Mueller appears to be trying to tie Trump’s payoffs to two women to campaign finance lawbreaking — efforts by Trump to impede the 2016 election results in his favor, which IS\\would be a violation. Campaign laws allow personal expense for personal reasons by candidates which are not for campaign reasons. However, Hillary’s campaign paid (through a law firm, which in itself could be ruled money laundering) for the Steele Dossier that was fabricated and had no factual basis. Her campaign obviously funded that for the express purpose of impacting the election against her opponent. Unlike Trump, there is NO possible personal reason Hillary could give for her doing so. No action pending against the Clinton Campaign for doing so. “IF” Americans see and understand these two systems are in place; and “IF” Americans knowing they exist, who crafted and implemented both and why they were put in place; and “IF” Americans knowing all this allow these travesties to continue, the American Justice System is doomed. In fact, it may be too late for America to stop these two systems or change their paths of operation. Too many people have garnered too much power and authority through these systems. And all of that power and authority that will allow their existence is now controlled by a small group of individuals who have the power to perpetuate the status quo. Vote in every election in which you are eligible. Sadly about 25% of all those eligible to vote determine who represents us at local, state, and federal levels. Why? 75% of Americans simply don’t vote! Consider running for office. You may feel unqualified. But qualification for office does not entail dollars and cents, social status, or wardrobe. Those may make it easier to get attention. But door-to-door and person-to-person is a great way to get involved with lawmaking. Don’t disqualify yourself without consideration! This is NOT a country founded to be like this. And this country does NOT belong to a group of elitists who have all power and authority to do anything they desire at the cost of the American people. But if Americans sit idly by oblivious to what is happening around them, doing that is support — albeit benign support — of the very evil this discussion is about. None of us like being disliked or despised. Those might result from taking action. But what is certain is that all who ignore real disatrious historical events are doomed to see them occur again. Tomorrow, Saturday August 25th, the TruthNewsNetwork will present evidence of serious and actual illegalities and political partisanship that is driving the “new” justice in our nation. It will shock you. Make sure and come back tomorrow morning for the inside scoop. And if you haven’t registered your email address, feel free to do so on the home page. Your address is secure, no one will ever see or have access to it. We don’t sell anything at all either. Doing so will simply result in your receipt of a brief email reminder with a “click-link” to any/every new story and/or podcast when published at TruthNewsNet.org. I avoided this topic for obvious reasons. I have never liked soap operas. They seem mushy, unrealistic, and cheesy, to be frank. This is nothing more than another soap opera. But this one plays out on a national stage called the White House. The star of this soap opera is a former reality show star fired several times by another former reality show star who happens to now be President. I know very little about Omarosa Manigault-Newman — no relation to this writer. The little I DO know about her is nothing more than the spin from the press about her and her idiosyncrasies. I was not an “Apprentice” fan, but even with that I knew a little about her — the media always loves controversy and made her controversial during that show’s run. 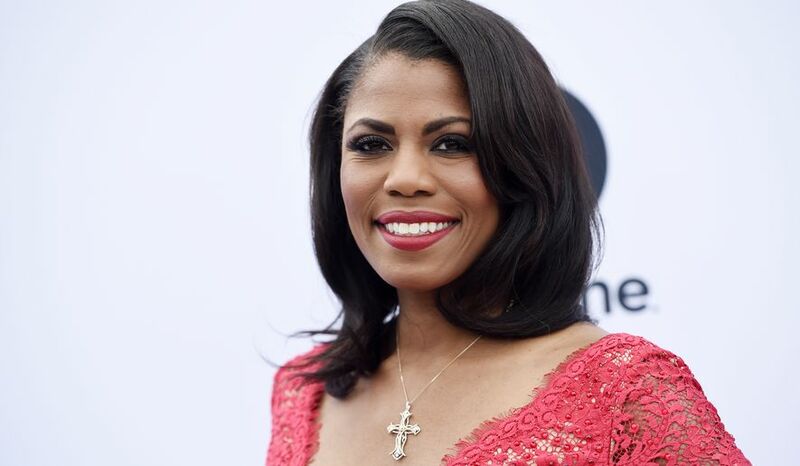 Moving from an NBC hit television show to the White House was quite a move for Donald Trump AND Omarosa. The tension between the two on television transitioned to the White House. Everyone thought Mr. Trump and Omarosa kissed and made up. Why else would she get a PR position in his administration? Apparently, if amends were made between the pair, they did not last long. There was a “real” firing that should have dominated the news cycle on Tuesday. And it wasn’t the firing of Omarosa by White House Chief of Staff John Kelly. It was the firing of FBI agent Peter Strozk. But another FBI firing would not have played well in the anti-Trump 24/7 Mainstream News Media reporting, even if Strozk’s termination is of national security and American justice importance. Omarosa’s termination gave the Media sharks another chance to take shots at the President. And they did. I will not waste your time discussing Strozk. By now, everyone knows he was the pivotal investigation head of the FBI’s Hillary Clinton private server debacle but was also a key part of Robert Mueller’s investigation of the Trump Campaign for alleged Russian election collusion. It was with Mueller’s discovery of Strozk’s extreme bias against Trump evidenced by his obsessive string of texts with his girlfriend Lisa Page Mueller pulled the plug on Strozk’s job with his investigative team. Strozk will probably be remembered most for his bombastic public testimony before Congress in which he brazenly defended his vitriolic political rants with his lover through those texts in which veiled threats were shared against “Candidate” Trump and then “President” Trump after the election. It is more than fair to say both Strozk and Lisa Page were/are adamantly opposed to Donald Trump being President. Strozk is certainly in the spotlight of the DOJ regarding security clearances, threats against the President, and discussions of conspiracy with others regarding actual plans to stop Trump from winning the election and then “taking him out” after he won. The former CIA Director who has made himself probably the most ardent opponent of this President lost his security clearance for very obvious reasons: He perjured himself in Congressional testimony twice (with charges for those pending), one of which was regarding CIA hacking Senate computer systems while the Senate was investigating the CIA for wrongdoing. In sworn testimony, Brennan denied such hacking actually happened. Additionally, that selacious “Steele Dossier” was actually put on public record by Brennan himself. He is the guilty party that brought the Dossier quietly to former Senator Harry Reid who took it to James Comey’s FBI. This happened while Brennan was still CIA Director. Just yesterday, Brennan in the wake of his crying fowl for the President’s termination of Brennan’s security clearance maintained he knows factually that Trump colluded with Russia. If he found evidence of collusion after he left the CIA, he violated security laws by NOT taking it to authorities. 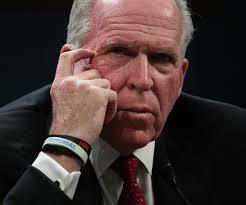 Brennan is not a good person and certainly not an honest person. It’s sad that a person with such drastic character flaws ran the largest foreign intelligence agency on Earth for so long. How could President Obama appoint such a person to that role? 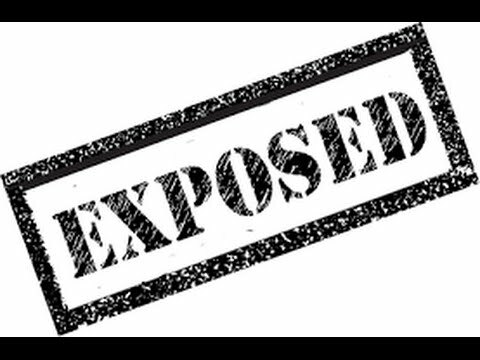 It is shocking to know that there are approximately 2 million people in America that have government security clearances! How could that happen? How in the world could that many people have security clearances? Let’s be honest: there is only one possible justifiable reason for any “former” federal employee or contractor to have such a clearance: if whoever follows them in their post or office needs to consult with them to draw from their knowledge and/or perspective on specific government topics, they would be required to have a security clearance to do so. And getting that clearance takes an inordinate amount of time. But that simply does not justify so many people having legal access to significant documents and information after leaving their federal positions. I feel strongly that EVERY federal person who has a security clearance of any kind should have that clearance terminated simultaneously with their job departure. In this politically charged foreign and domestic environment, there are far too many opportunities for confidential and top secret information to pass to people who will use it against the United States. The U.S. has had enough of Snowden and Assange passing such information around to our enemies. But the thing that galls me the most is that guys like Brennan, Comey, and Clapper use their security clearances in the private sector for profit. Yes, such authorizations gives them a leg up in the news world because of their “special” access to inside information that regular folks cannot legally access. The problem is that all these people listed above are just the type who (for a buck or two) have and will continue doing so unless their clearances are terminated. My safety is worth that. Is yours?